A live stick of dynamite used in a training exercise at Los Angeles International Airport (LAX) was left on an old plane for four days, according to sources. Law enforcement officials told the Associated Press that workers on the tarmac found the dynamite on Tuesday inside the “Spirit of Seventy Six”—a historic plane part of the Flight Path Learning Center and Museum on airport property. 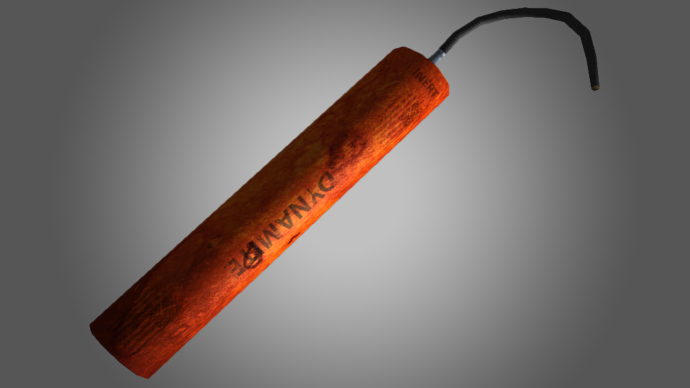 Law enforcement officials had been using the plane over the weekend to do drills with specially trained canines and had left the stick behind, according to the AP. The stick had been checked out of an explosive storage container that the Transportation Security Administration maintains at LAX for training purposes, the newswire reported this week, and contained “a certain amount of TNT,” according to LAX spokesperson Sgt. Belinda Joseph. The spokesperson insisted the stick wasn’t actually dynamite, and AP reported the alleged explosive was live but would have required a detonator to be set off. Sergeant Joseph said LAX police are investigating the incident and have alerted the TSA. The Flight Path Learning Center and Museum is located in the southern edge of the airport, and the “Spirit of Seventy-Six” — a former TWA commercial craft manufactured in 1941 — sits on the tarmac outside for easy visitor access. The plane was sold to Union Oil in 1956, according to aviation blogger Sandi Hemmerlein, and was brought to LAX 50 years later.